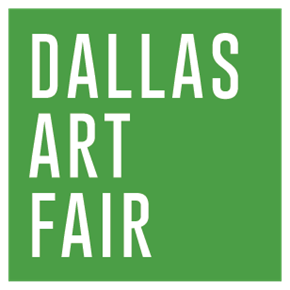 This weekend is your yearly chance to check out the Dallas Art Fair, which features collections from namedrop-worthy national and international galleries and art dealers. Modern and contemporary works across a wide range of subjects and media are showcased over the weekend in Dallas’ downtown Arts District. This event draws a nice mix of art collectors and aficionados, heightening Dallas’ visibility as a (hopefully?) major destination on the international art front. For her Kindred series, British artist Sarah Ball pored through the archives of Ellis Island registry clerk Augustus Sherman, who worked at immigrant entry point for 33 years. During that time, the untrained photographer created hundreds of images documenting the new arrivals to America. He photographed families, groups and individuals while they were being detained for medical reasons, and in certain cases, interrogations. April Exhibitions Opening Reception. 500x Gallery is kicking spring off with a party. Two of the artists whose work will be featured are Kelsey Heimerman and Sammy Rat Rios. Heimerman is an objective painter who focuses on “figures (that) are her metaphorical haystacks and reflect our contemporary world,” according to the gallery. She’s a fan of using distortion and engorged layers of firm, deliberate paint, which becomes a tool to objectify flesh, spaces and animals. Sammy Rat Rios is also a musician and an actress in addition to being a painter. While painting takes a backseat to her music, her works are solidly nonobjective examples of her aesthetic. Q: What is the difference between a duck? A: One of its legs is both the same. According to artist Shelby David Meier, the question “What is the difference between a duck?” is a finished joke in that the joke is unfinished. What is the duck different from? How is it different from itself? “The joke is in the distance between a thing and itself,” she says. “An empty novelty filled with whatever meaning we pour into it. It flickers between what is seen and what is not; it is comedy. A gap between things that are separate and the same in an instant.” What’s interesting is that the teaser photos for the exhibit suggest nothing even remotely aviary is going on. So there’s that. Because going to hell without saying goodbye would just be rude, wouldn’t it? Artist Mark Todd, an avid record collector, got the idea last year to paint renditions of some of the hundreds of albums he’s listened to while working in his studio over the years. Then the owners of the Webb Gallery approached him about doing an exhibit in which he’d ramp things up a notch, creating all fake records. True to his comedic flair, they’re hilarious.